A prolific speaker on legal ethics issues, Rick Supple represents law firms and lawyers in all kinds of professional ethics-related matters, including disciplinary and legal malpractice cases, partnership and fee disputes, internal investigations, and disqualification and sanctions motions. Mr. Supple also has a substantial risk management practice advising law firms, lawyers and businesses with respect to regulatory compliance issues, litigation finance, lateral movement, and formation and dissolution proceedings. As a former prosecutor and defense counsel, Mr. Supple has tried, arbitrated, mediated or acted as an expert in numerous cases in federal and state courts. He has also argued dozens of appeals before the United States Court of Appeals for the Second Circuit, the New York Court of Appeals, and intermediate appellate courts throughout New York. 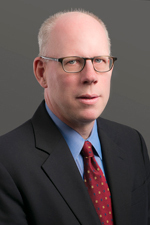 Before joining Hinshaw & Culbertson LLP in 2004, Mr. Supple was Principal Trial Counsel to the Departmental Disciplinary First Judicial Department, and a staff attorney at the Legal Aid Society.